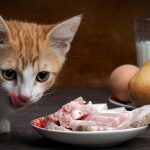 In this article, we’ll look at what drives our cats to scratch, and how to stop cats from scratching furniture and other surfaces. 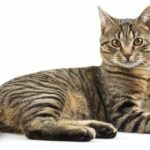 In February 2016, the American Veterinary Medical Association (AVMA) published a research review revealing that problems with scratching accounted for up to 42% of complaints to vets about cat behavior. It’s clear that when our cats scratch our homes, it upsets us a great deal, and drives a wedge into the relationship we enjoy with them. Discover the amazing healing power of your cat’s purr. Firstly it’s a great way for a cat to stretch out their fore legs (after all who doesn’t like a good stretch?). Cats also have scent glands between the pads of their paws which secrete oils odorless to us humans. By scratching, cats leave a visual and smelly mark on their territory, declaring “this is mine!” to other cats which pass by. And finally, scratching removes dirt and old, dry claw husks, keeping them clean, healthy and sharp. First and foremost, it’s hard to remember this when we’re upset, but scratching behavior is hard wired into your cat. Your cat doesn’t know you spent a year saving for that sofa, or the rug came from your Grandma’s house and reminds you of her. He is not doing it to upset you, and getting angry at him will not fix the problem. Try not to shout. If you shout at your cat when he scratches, it will only serve to make him scared of loud noises, and more nervous generally. The best cat scratch deterrents use positive reinforcement to reward good behavior. Whenever you try a new tactic to stop your cat scratching, have a tub of ‘Temptations’ (or whatever his biggest weakness is!) at the ready. Every time he turns away from the walls, floors or furniture, or use a scratching post instead, give him a treat. Cats can hardly help it that when we invented our most popular floor covering, we made it so hopelessly irresistible for scratching. All those little loops are just perfect for hooking claws into, and give just the right amount of resistance for an unbeatable stretch. Scratching posts covered in carpet or sisal are a great acceptable alternative to offer your cat. Remember, your cat also scratches to mark it’s territory, so place several scratching posts around your home to recreate that feeling. One little one in the kitchen probably won’t be enough. Cats particularly like to stake their territory at entryways and areas with lots of footfall, so pick spots near doorways and in corridors to increase their appeal. Remember to reward them every time they use the post instead of scratching elsewhere. Buying a store-bought scratching post for every room in your house can get expensive, but the materials to make a cat scratching post yourself are very affordable. You might even discover you have them already in your garage! Our favorite tutorial to bring out your inner MacGyver and impress your cat is this one over on Wikihow. If your cat is a catnip fan, try sprinkling a little onto his scratching post to give it that extra appeal. 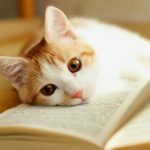 If you’re unfamiliar with catnip and the hold it has over some cats, find out more in our article What Does Catnip Do To Cats. We’ve looked at what how to tempt your cat away from the carpet, but how do you stop a cat from scratching the couch? As well as positioning a carpet or sisal cat scratching post nearby, there are other products out there specifically designed to protect your sofa: cat scratch sprays and anti scratch tapes. There are a number of sprays available which promise to repel cats from scratching your furniture. These sprays rely on cats’ dislike of scents like citrus, lavender and eucalyptus. They are usually little more than essential oils and water, so you can buy them ready mixed off the shelf, or experiment with making your own at home. Do cat scratch sprays really work? Amazon reviews of cat scratch sprays tend to be polarised: owners either enjoy huge success, or discover their cat is completely unfazed. The only way to find out whether they work for you is to try! Remember to test sprays on an area out of sight first, to make sure they don’t damage or discolor your floor or furniture. WATCH OUT – You can also buy outdoor sprays designed to drive feral cats out of your garden. These are usually synthetic formulas designed to mimic fox urine. They are much less pleasant to spray around your home! Cat anti scratch tapes from manufacturers like Sticky Paws and SmartyKat are strips or rolls of low-adhesive, transparent, double-sided tape. When you apply them over surfaces your pet likes to scratch, they work by making the area unpleasant for cats to touch. Once again, customer experience tends to be divided: they either work wonders, or they don’t work at all. Luckily they are inexpensive to try out though. Most of the walls in our house are smooth, so they shouldn’t hold much appeal for a scratchy cat, right? Despite this, you’re far from alone if you find your cat scratching walls. Since walls are unlikely to help keep claws healthy, your cat probably only scratches them to mark his territory. To lure him away, place a really appealing scratching post or scratch pad nearby, and reward him with a treat every time he uses that instead of the walls. In the past, many cat owners in the United States had their pet permanently declawed by a vet to put an end to scratching. Declawing is a surgical procedure to amputate the last bone on each of the cat’s toes, so the claws no longer grow. Today it is a controversial procedure. New York and California are both considering outlawing the procedure altogether, and in most of Europe, Australia and New Zealand it is already illegal. As with any cosmetic surgery, there are risks associated with the use of general anaesthetic, and the danger of infection and pain post-surgery. 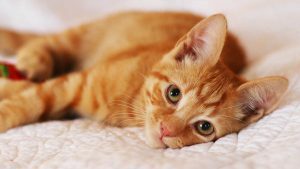 Both AVMA and the American Society for the Prevention of Cruelty to Animals (ASPCA) have published policy statements which say declawing should only be used as a last resort. A destructive cat can bring you to your wit’s end, and teaching your cat not to scratch can take a lot of time, patience, and willingness to experiment with new ideas. But there are lots of affordable and accessible strategies to try to keep cats from scratching furniture, and perseverance is key, so don’t give up! When you find what works for you, please share it with us and our other readers in the comments section below. American Society for the Prevention of Cruelty to Animals, “Position Statement on Declawing Cats”, www.aspca.org. American Veterinary Medical Association, (2016), “Welfare Implications of Declawing Domestic Cats”, www.avma.org. American Veterinary Medical Association, (2003), “AVMA position statement on declawing domestic cats”, www.avma.org. 1/ You don’t say anything about the importance of redirecting a cat to use an suitable alternative to the furniture and carpets, for scratching. 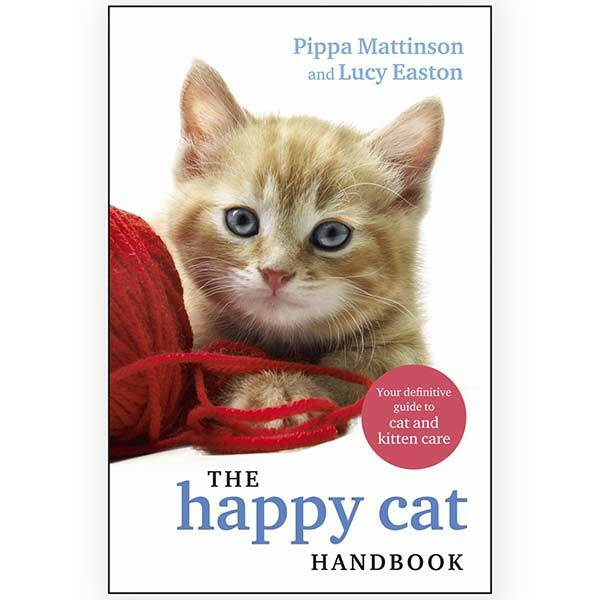 If a cat has got into the habit of using the furniture etc because the owner has failed to supply adequate scratch posts and pads it is not sufficient to just buy a lot of posts, rub them with cat nip and place them strategically around the house. 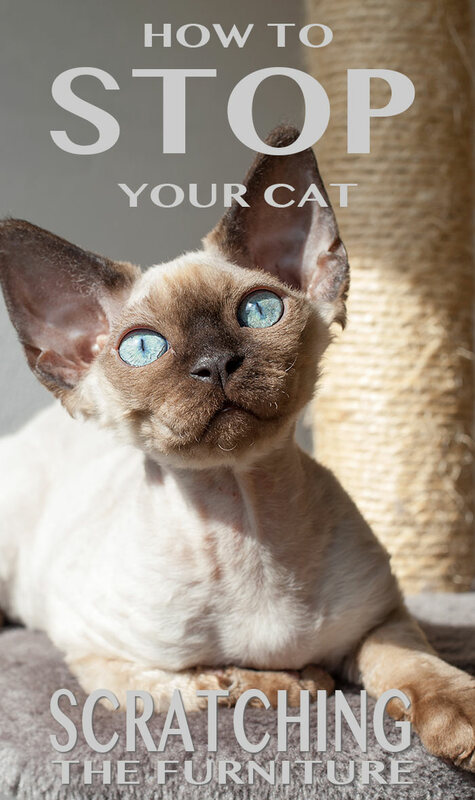 What you need also to do is every time the cat goes to scratch the furniture or carpets calmly lift them up, carry them to the nearest scratch post and gently paddle their paws up and down on the post mimicking the movement a cat makes itself when scratching. The cat will soon pick up this habit. When the cat goes of their own accord and scratches a post, give them lots of praise, not treats every time. I have lived with companion cats for over 40 years and have trained every one of them not to scratch my furniture and carpets. These included young kittens, older kittens, adopted adult cats, adopted senior cats, and adopted strays. It was not difficult using the method I have described. 2/ In your section on the mutilating practice of declawing you do not mention that the first joint of the toe has to be amputated in order to remove the nail bed and prevent the claw regrowing. As a result cats are left to walk on their knuckles which is painful and often causes them to throw their weight back to take the pressure off their paws. Throwing their weight back causes them to walk unnaturally and eventually damages the spine causing a deformity and further pain. You also did not mention that as declawed cats have no means of defending themselves against unwelcome attention from humans, they may become serious biters. I would have liked to see you put the case against declawing much more strongly than you did. I feel you were presenting it as an option instead of the cruel and barbaric practice it is which morally should be outlawed everywhere. “Declawing is a surgical procedure to amputate the last bone on each of the cat’s toes, so the claws no longer grow. Hi Zoe, maybe read the entire post before making comments then reread it because clearly you only skimmed it and looked for something to criticise. If you had taken the time you would see the point being made “The best cat scratch deterrents use positive reinforcement to reward good behaviour” and further down “If your cat is a catnip fan, try sprinkling a little onto his scratching post to give it that extra appeal”. And as Pippa notes you also missed the pertinent information re amputation for declawing … Perhaps before criticising other people’s work, umm, get your facts right. 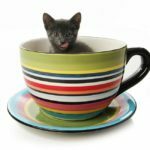 I found the article useful and interesting, and for the record, I didn’t know that declawing required amputation so I’m very happy to learn something new – I certainly found your post to be nasty and self-righteous without any just cause. This is the first time I have ever felt compelled to make a comment. Sarah thanks for your article.